Once again Drexel Library will be open 24/7 during finals week. The 24 hour schedule will begin Sunday, May 1 and run through 4:00pm on the last day of finals, Saturday, May 7. Please note that there will be no information or service desk assistance from 12 midnight through 8:00am during the 24/7 hours. Don’t forget you can reserve a group study room! Recently on the cover of Time magazine and selected for Oprah’s Book Club, it is easy to see Franzen more as the celebrity author than celebrated writer. In his fourth novel, Freedom, he once again explores the relationships, actions and consequences of an American family in Saint Paul, Minnesota. What begins as a description of a normal middle class family evolves into a story of their different decisions, conflicts and disappointments. The novel tells the story of the Berglund family from several points of view. The first section of the novel is seen through the eyes of their neighbors, who seem to delight in the family’s ups and downs, impatiently waiting for everything to fall apart. The rest of the novel deals closely with family and friends, with first-hand accounts from wife Patty Berglund, family friend and musician Richard Katz, husband Walter Berglund, and finally to Berglund’s son Joey, as he enters his first year of college. This isn’t just another book about a suburban family. Franzen’s attention to detail and sharp wit make Freedom worthy of the hype. With the onslaught of new forms of media ushered in by fast-evolving technologies and the growth of the internet, the world of print is changing rapidly. Magazines are discussing the doomsday prophesies of the book industry, as smaller publishers get gobbled up by large conglomerate companies interested mostly in the bottom line (this article from the magazine New York lays out the tumultuous road the book industry faces). 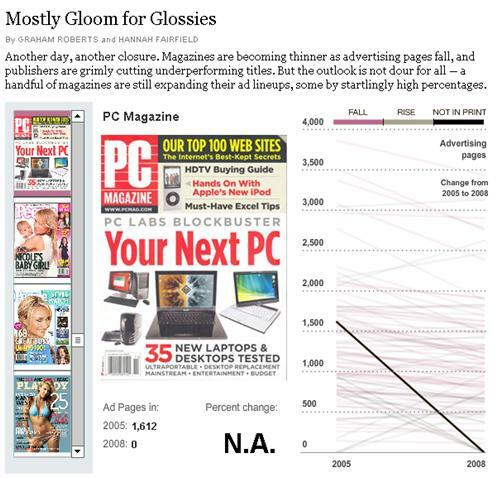 Newspapers are commenting on the demise of the magazine (check out this cool graphic from the New York Times that shows the number of ad pages plummeting for some mags), and bloggers are announcing that the age of the newspaper is drawing to a close (this blog entry is one among many). As publishing drastically changes in the new information economy, libraries do try and keep up, and it is no stretch to say that the libraries of the future will look drastically different than the ones of the past. Yet, as of now, we need to remember that projections and predictions aren’t the same as reality — we’ll continue to collect print materials as long as there are important print materials published. And let’s hope that the really quality materials will be skillful enough to adapt to new markets and new readers! Thanks to Cynthia Slater for the New York Times graphic! As a former English major and lifetime lover of good literature, it’s always exciting for me to see how the Web 2.0 world is pushing the bounds of how we think about the Classics. 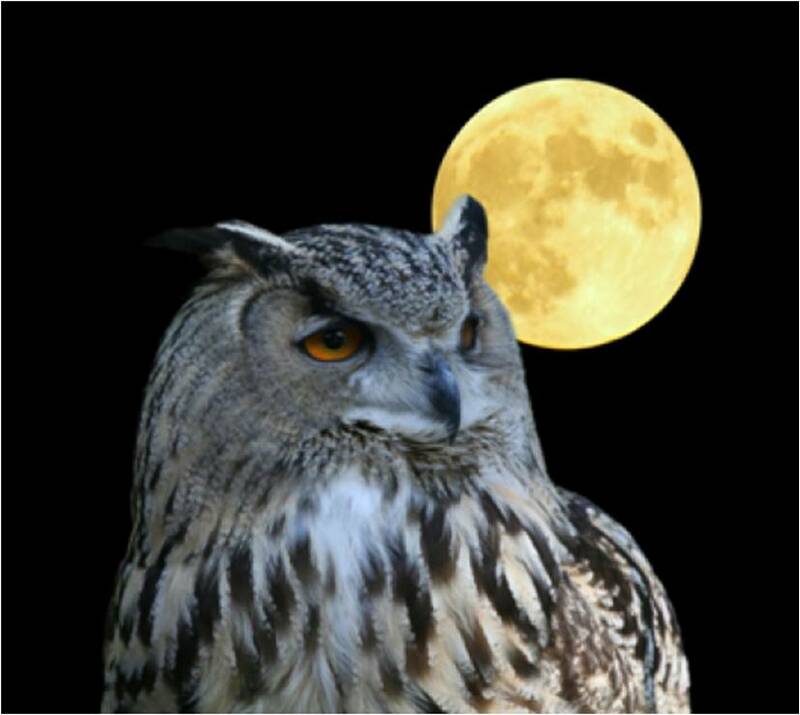 Moving content online and beginning dynamic discussions breathes new life into old topics. News on the Rialto, a blog created and updated by Shakespeare Magazine’s staff, is no exception. From new movie and play productions to new discoveries about Shakespeare’s life, see how his life and work is still relevant, how cultures across the globe are retelling his stories, and how incredibly interesting a guy who lived almost 400 years ago can really be.